BetBrain is a free-of-charge arb scanner. Is it an advantage or not? There is no single answer, as it all depends on purposes a user does have. 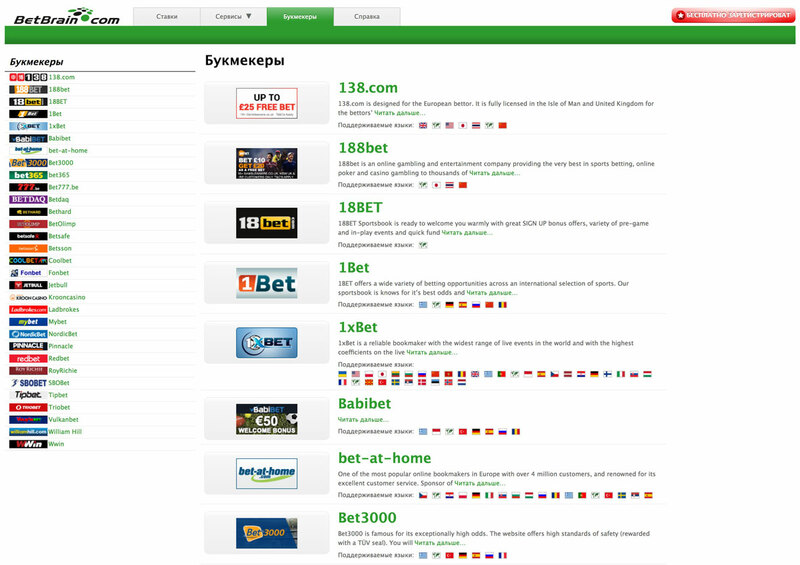 BetBrain scanner interface supports 28 languages. Website design is uncluttered and neat, but it also may seem to be too plain and empty. Visually, the main page has 5 parts. Top bar: sign-up, coefficient selection, language settings. A bit lower, there is a slider with “Today’s 3 sport events” giving coefficients for 3 pairs of bookmakers. At the left, there are supported sports. The section is divided into 2 parts: 10 hottest sports and 36 less popular. 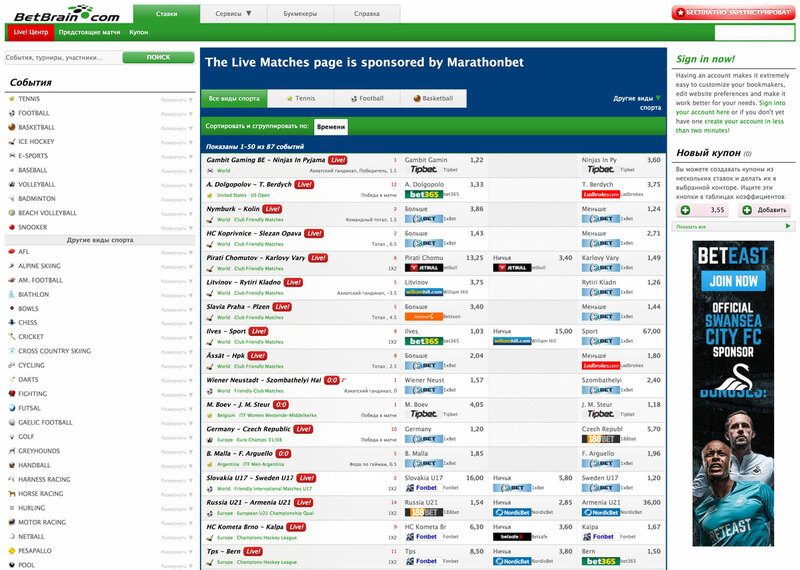 The central section also has 2 parts: at the top, most popular events are displayed, followed by live surebets below. 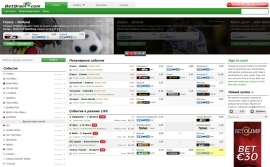 The footer has traditional scanner contents: betting rules, legal information, technical support, etc. The right bar displays the banner inviting to create a bunch of several bets, as well as the list of TOP 10 tournaments. Actually, the method of selecting those is unclear — the scanner analyzes bookmaker lines for football tournaments of Uzbekistan, Myanmar, Zambia; hockey cup of Australia, and Irish football championship. It must be noted that service developers do keep a check on market trends — E-Sports are mentioned among high-priority fields. 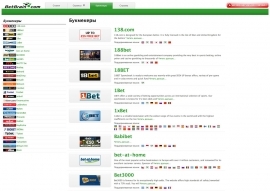 Nowadays, more and more bookmakers include cybersports into their lines. This means that auxiliary tools of betters — including arb scanners — have to satisfy the demand. Also, admins note that coefficients are updated every 10 minutes, with “fresh” surebets marked with arrows. However, customers report on 20-minute update intervals, which is very poor for efficient use of a surebet strategy. The section “What is BetBrain?» warns about the probability of technical issues leading to coefficient mistakes. As explained, this is due to the bulk of information collected from numerous sources, and issues emerge at this stage. Also, technical faults on bookmaker websites can also happen; and slow Internet connection can also be a cause. In fact, these are ordinary notes that appear in all services, including those of fine reputation. But, speaking of a free scanner, this can be an attempt to mask pitfalls of functionality and technical base of the resource. Surebet searching can go in either of two supported modes: manual or automatic analysis. In the former, a user should click on a sport event and look at bookmakers’ suggestions. Around 10 surebets will probably emerge. What is that supposed to mean? 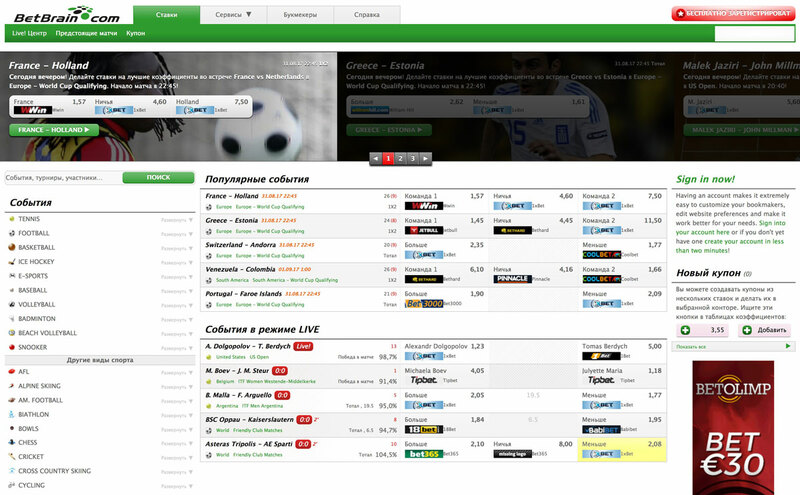 In the table against every bookmaker, the payment amount (%) is shown. For instance, 95% mean 5-percent margin provided by a bookmaker for this market. If the number is higher than 100%, there must be an arb. BetBrain is a totally free surebet scanner, unable to provide any extra functions or technical capabilities. Is BetBrain worth attention of a professional arb better? As any free tool, it rouses reasonable censure. So, we cannot definitely recommend it as a strong basic service. In all other respects, everybody has their own opinion.